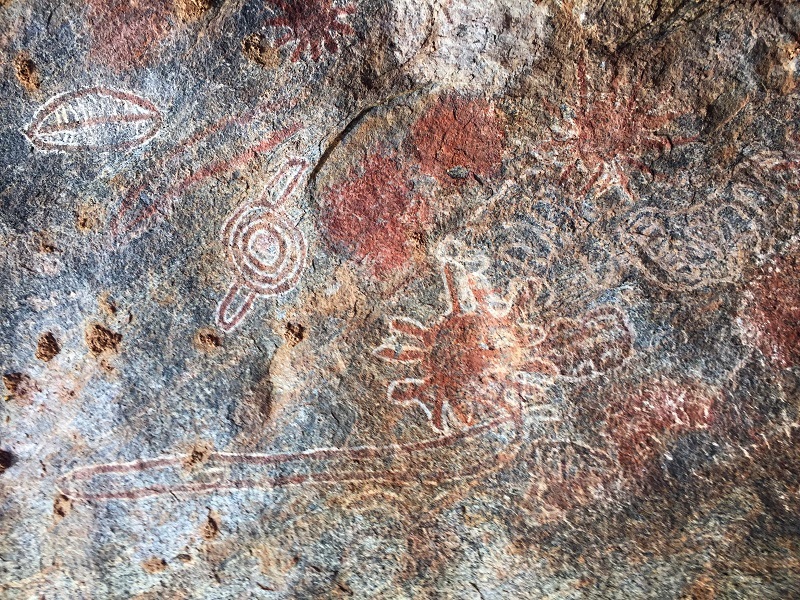 New rock art find in Kenya! 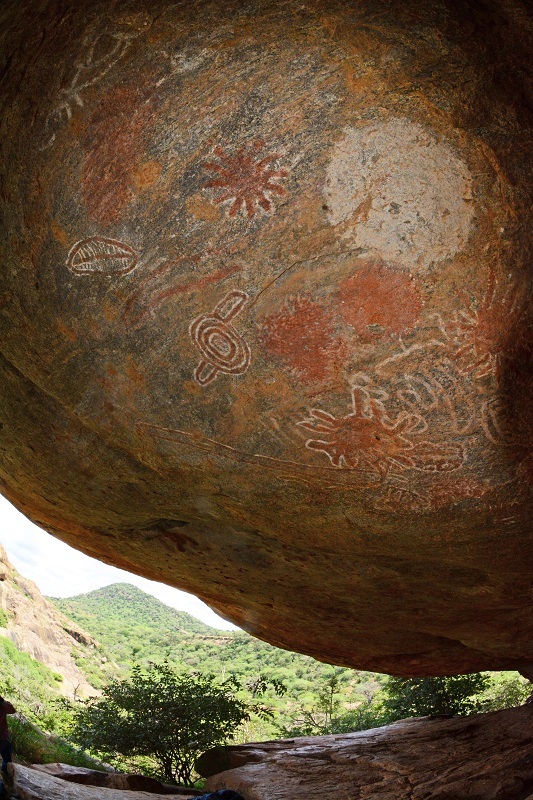 Last weekend, a long-planned survey trip to Kitui County in South Eastern Kenya yielded two new rock art sites. The survey undertaken by Emmanuel Ndiema, Head of Archaeology at the National Museums of Kenya, and David Coulson, founder and chair of the Trust for African Rock Art (TARA) was hoping to record two previously unrecorded sites that had been reported in 2015 by Dr. Ronald Mulwa, a Senior Research Scientist at the National Museums. New sites are often mentioned to TARA (some real, some not) but what sparked Coulson’s interest was that a few years ago he recorded a geometric site in Tsavo East not far from the Kitui County border. The reported new sites appeared to be in the same general area. One of the objectives of this trip therefore, was to see if the art at the new sites might be from the same ancient tradition as the Tsavo East sites. 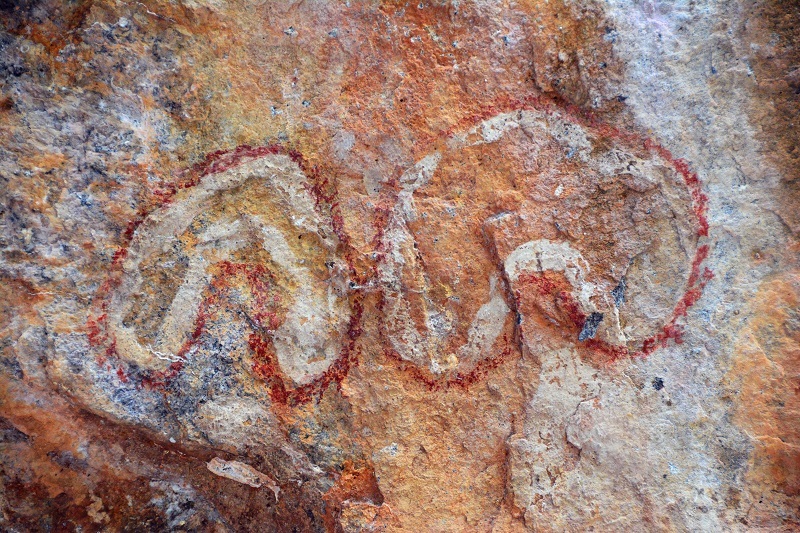 These paintings done in red and white paint do appear to have links with the earlier recorded Tsavo ones, and with other examples of prehistoric art common to the Eastern and Central African region. They mainly comprise concentric circles and other geometric art, and date to a time when the region was part of the Central African rainforest. According to Coulson, these sites are some of the best he has recorded in Kenya ever. The area where the paintings are located is full of granite hills and outcrops with lush valleys in between. The trip involved steep climbs up slippery granite slopes to reach the deep shelters and caves in which the paintings are located. All geometric art, the paintings consist of strange and often beautiful symbols created long ago probably by hunter-gatherer artists. Although we will probably never know the exact meaning of these symbols, studies of other African hunter-gatherer groups such as the San in southern Africa, or the Hadzabe and Sandawe of Tanzania give us clues as to their possible meaning.